Floor Stripping Solution Applicator. Now you can apply up to 50,000 square feet of solution in less than one hour. 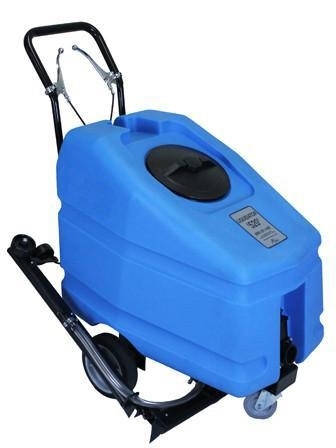 The Liquidator has a 36 gallon solution capacity, along with an adjustable applicator brush to accomodate obstacles and narrow aisles. You’ll quickly realize the benefit of using the Liquidator as part of your floor maintenance solution.